Are you traditional when selecting the colors for your Christmas displays? Choosing these multicolor C7 bulbs will take you right back to your childhood Christmases and give you the same thrill when you decorate your house and tree. 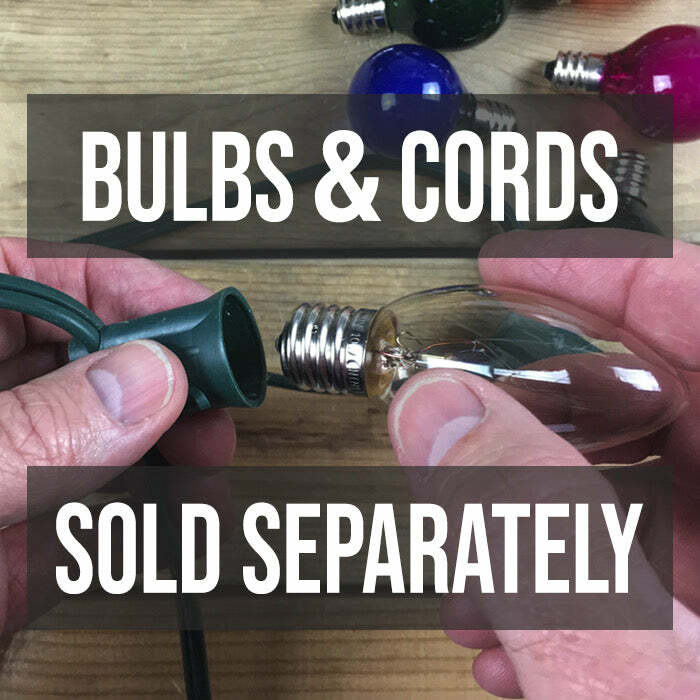 These vintage style lights, which come in boxes of 25 bulbs, will wrap beautifully on your natural and artificial trees once they are installed in a C7 (E12, Candelabra base) cord, purchased separately. You'll love the way they can be used in multiple ways in your holiday decorating.